This event is held in honour of Jess Solley who sadly took her life in 2009, after suffering from depression. Jess grew up in Polzeath and spent a lot of her childhood at the beach and surfing with her friends and family, so they felt that supporting The Wave Project would be apt. Last year, Pam – Jess’ Mum and event organiser, said: “Everybody seemed to enjoy it which is fantastic, they all had a happy day as well as raising money to help other youngsters to have happy days so a win all round”. The event is now in its eighth year and second year supporting The Wave Project. There are numerous events to get involved in, all for fun! 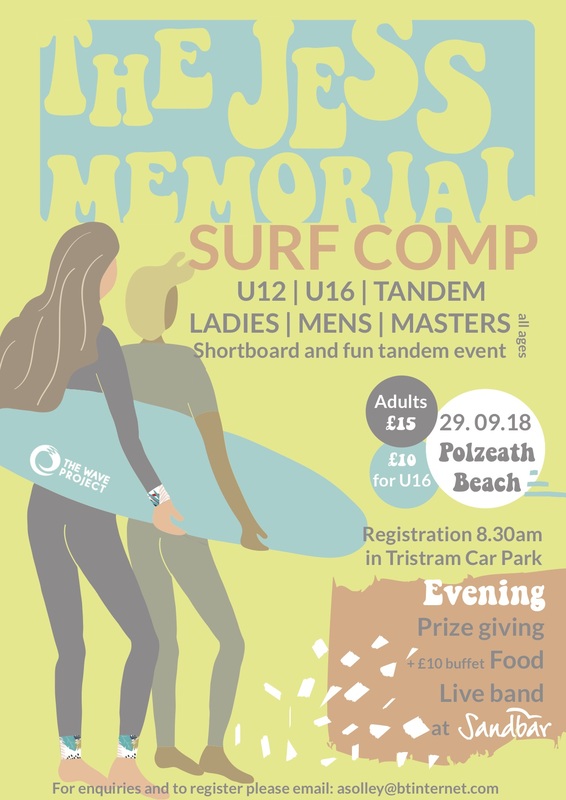 These include: under 12; under 16 and tandem (two on a board attempting tricks or funny poses) for our Surf Clubbers or ladies/ mens/ masters for Surf Mentors or Wave Project supporters! It costs £10 for under 16s and £15 for adults. There will also be a prize giving/ buffet/ live music in the evening for a further £10 at the Sandbar.